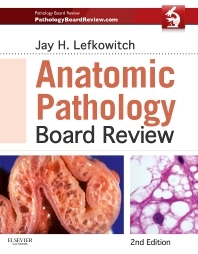 Featuring hundreds of multiple-choice questions and full-color illustrations, Anatomic Pathology Board Review serves as a comprehensive resource for both certification and recertification exams. This fully updated medical reference book contains chapters covering general pathology, the major organ systems, and ancillary diagnostic techniques, as well as important topics including immunohistochemistry, cytopathology, and molecular diagnostics. It's the perfect tool to help you be as prepared as possible for the Anatomic Pathology boards!